I am playing along with the challenge at Your Next Stamp! I absolutely LOVE their stamps and dies and just purchased the one to make cards for all my husband's golfing buddies. Your Next Stamp-Tee Time makes me laugh every time I look at it. We have to go to a birthday dinner tonight for my husband's golf partner and I knew he would love this card. I used the sketch for my card. The base card is Night of Navy card stock. The next layer is Garden Green. I used the Murphy's Square paper pack that I purchased at Hobby Lobby for all the patterned papers. It has such great patterns for guy cards. The sentiment was stamped on Very Vanilla and heat embossed with black Versa Fine ink. 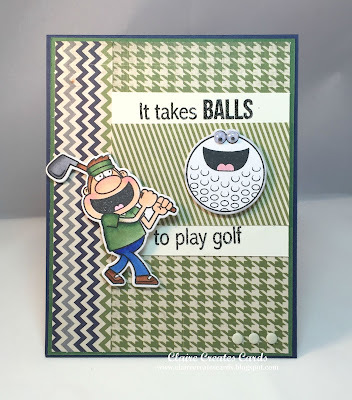 I stamped the ball and the golfer on Neenah Solar White paper and colored them with Copic Markers. 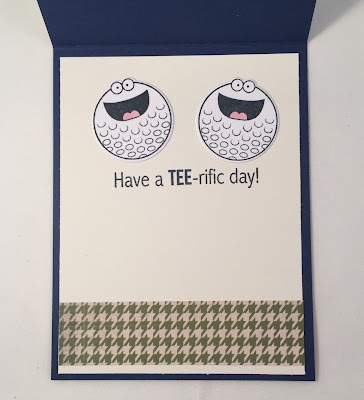 I cut them using the matching Your Next Stamp--Tee Time Dies. I adhered them with Stampin' Dimensionals and added goggly eyes to the golf ball. 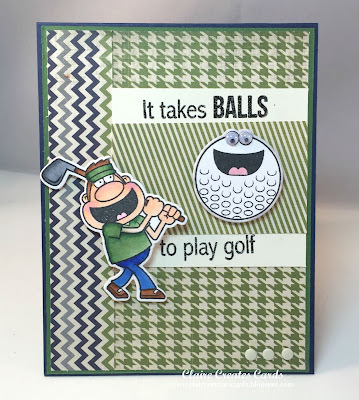 I added a few more balls for fun on the inside of the card. Thanks for stopping by today. I love to hear from you, so please leave a comment and let me know your thoughts. 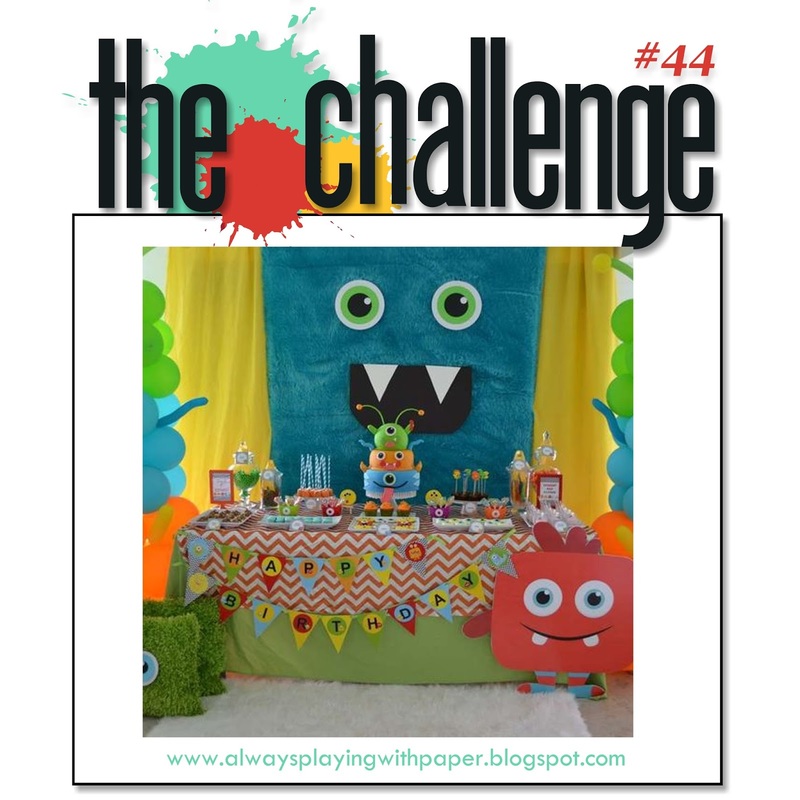 It's Monday and time for a fun challenge at: Always Playing With Paper --The Challenge! We can't wait to see how this inspiration photo inspires you! 2. 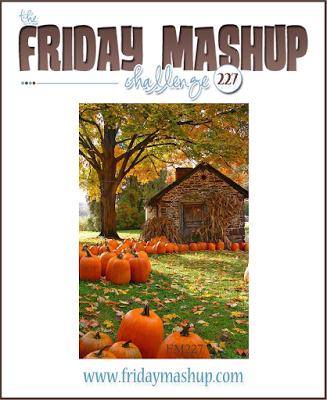 Please add the challenge photo to your post (copy and paste). 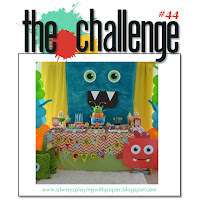 When I looked at the inspiration photo, the first thing I noticed after the fun little monsters was the chevron pattern. So, I looked through my stash and found this orange and white piece of chevron by American Crafts-Basics Paper Pad and cut it with my rectangle stitched dies. 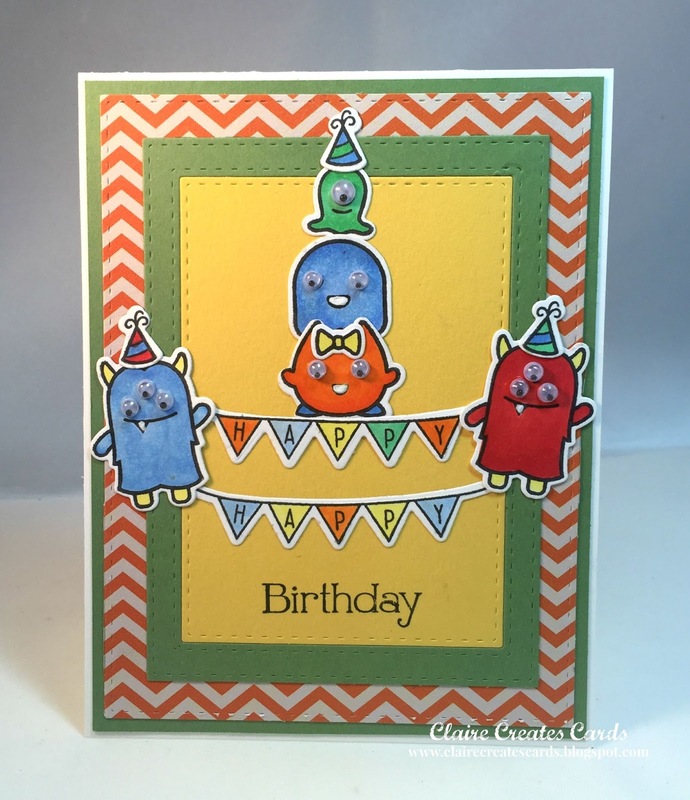 My base card is white and the next layer is Wild Wasabi card stock by Stampin' Up! My frame was cut using two of the layered stitch dies. I tape them together with washi tape to keep them from moving and cut the Wild Wasbi frame. 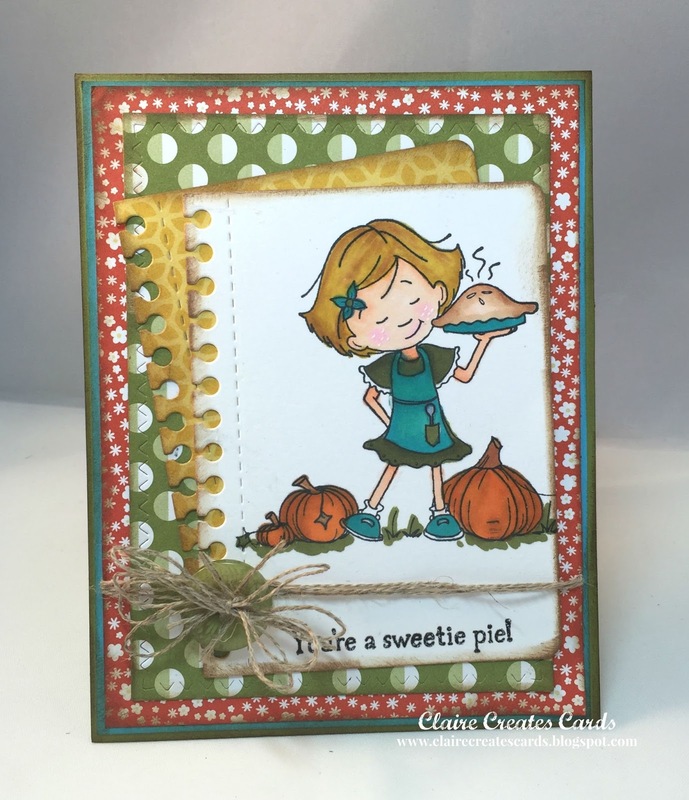 The inside layer is cut with another rectangle stitch die using Daffoldil Delight card stock by Stampin' UP! I stamped several of the monsters on Neenah white card stock using the Lawn Fawn-Monster Mash Stamp Set. I colored the monsters using Copic Markers. I cut them out using the matching dies by Lawn Fawn-Monster Mash Die Set. 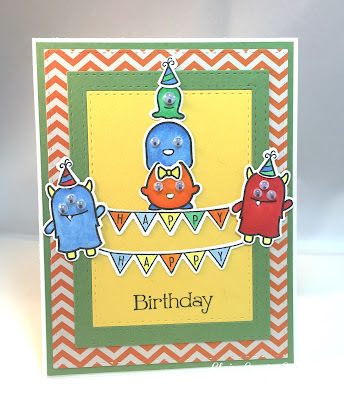 The HAPPY banners were stamped with black Momento ink using the WPlus9-Happy Mail Stamp Set and matching dies were used to cut the banners out. I colored them with Copic Markers. After I decided on the placement of the monsters, I adhered them and added lots of goggly eyes and Wink of Stella for extra shine. Be sure to stop by The Challenge to see all fabulous projects by the Design Team members cards! I can not believe how fast this month is flying by. One of my favorite things about Fall is everything "pumpkin"! I love pumpkin lattes, pumpkin pies, pumpkin bread and pumpkin pancakes! When I saw the colors at the Colour Me...! 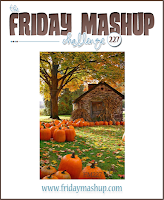 Challenge and the pumpkin theme at The Friday Mashup, I pulled out my new stamp set from Kraftin' Kimmie Stamps--Hey There, Punkin' and started my card. 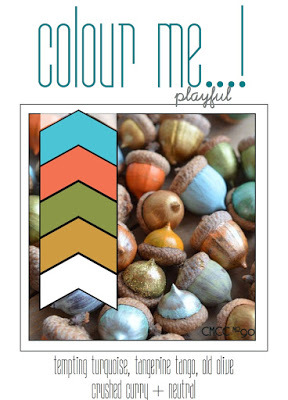 Tempting Turquoise, Tangerine Tango, Old Olive and Crushed Curry are perfect for any Fall Creation! My base card is Old Olive. The next layer is Tempting Turquoise. The Tangerine Tango floral paper is from the retired "Flowerpot" Designer Series set. I sponged Gathered Twigs Distress ink on all the layers for more depth. The Old Olive circle paper is from the "Sweet Taffy" DSP Retired paper set. 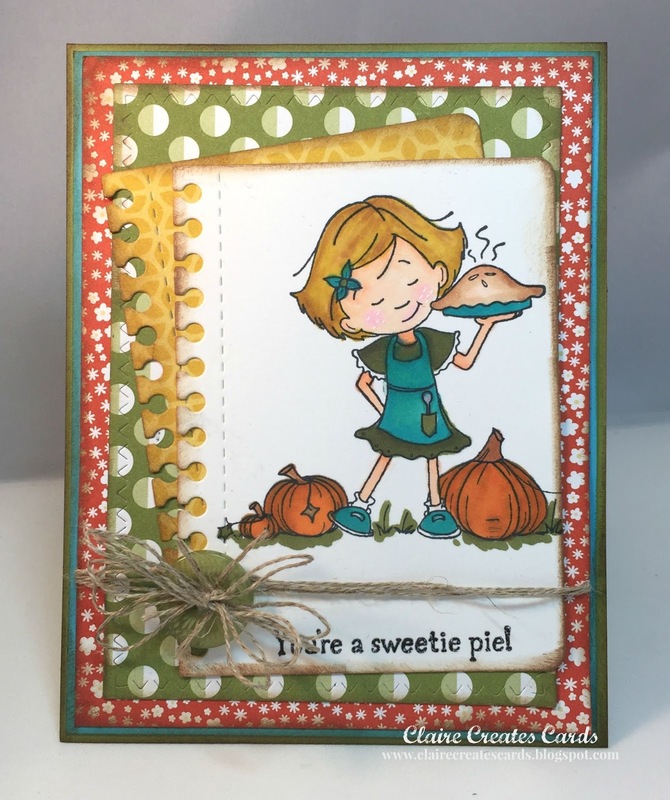 I cut it with the SugarPea Designs-Zig Zag Rectangle Stitched Dies. The Crushed Curry floral paper is from the "Flowerpot" Retired DSP set. ( I have hoarded so much paper-I have to start using it!) I cut it with the SugarPea Designs-Notebook Journal Cards die set. I also cut another one with white card stock. I distressed the notebook papers with Gathered Twigs Distress ink, too. I stamped this sweet image with Momento black ink and colored her with Stampin' Up! Blendabilites (retired) and Copic Markers. I added Wink of Stella on the image for extra shine. I stamped the sentiment (from the same stamp set) with black Versa Fine ink. I heat embossed it with clear embossing powder. Linen thread was wrapped around the notecard several time. I added an Old Olive button and a Linen Thread bow to complete my card. SO happy you stopped by my blog today. Please leave a comment and let me hear from you. I love to read your thoughts.